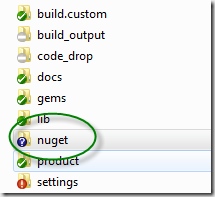 For those that have not yet heard, NuGet went v1 recently along with a whole slew of tools from the Microsoft folks. I’ve been lucky to be a part of the NuGet project and see it take shape over the past few months with community input and contributions. Even though v1.0 was released, we are already moving forward with getting ideas and prioritizing features for the next version. 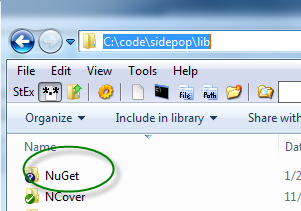 To follow the announcement, UppercuT (UC) v1.2 now includes support for NuGet out of the box. Plus, it will handle versioning the nuspec file for you, a highly requested feature for those that worked with other package managers. 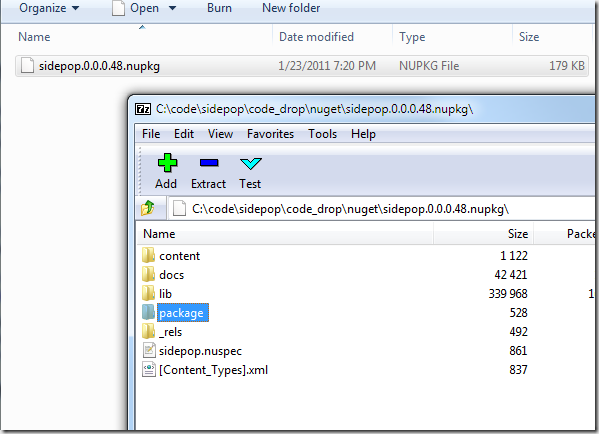 UppercuT + NuGet == Can Packaging Get Any Easier? 1. 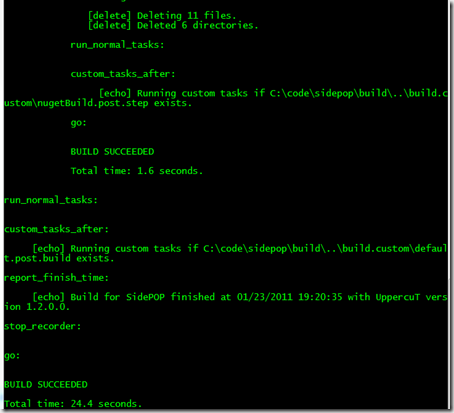 For those upgrading, you bring over the entire contents of the build directory like before. Please see the downloads (or the ReadMe ReleaseNotes section) for any items you need to change between your previous version and the latest version of UC you are downloading. 1. There is a nice write up on how to get UC set up on your project in less than 5 minutes (or you can try the gems approach)! It really shows how little is needed to get a fully conventional build with the ability to upgrade in seconds instead of hours for your builds. 1. 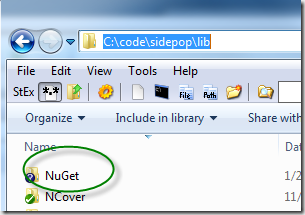 Head into the top level nuget folder. Rename the __NAME__.nuspec file to the name of your nugget (most likely your project name if there are no other packages named the same). 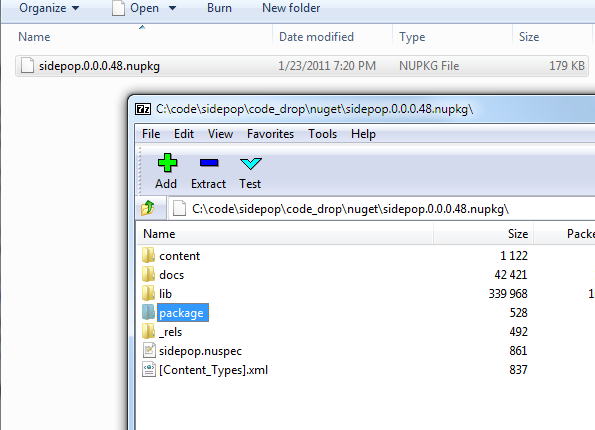 Here we are working with SidePOP, so I named it sidepop.nuspec. 2. Let’s open that file and take a look. NOTE: Notice the metadata attribute doesn’t have the xmlns in it (xmlns="http://schemas.microsoft.com/packaging/2010/07/nuspec.xsd"). This needs to be removed for xpath to be able to replace the version. If you are bringing an existing nuspec in, you will want to remove that. 3. Look how most things say __REPLACE__. The version attribute does not. Do not edit version (if you do, it will just be replaced during the build). 4. Let’s set up the nuspec for SidePOP. 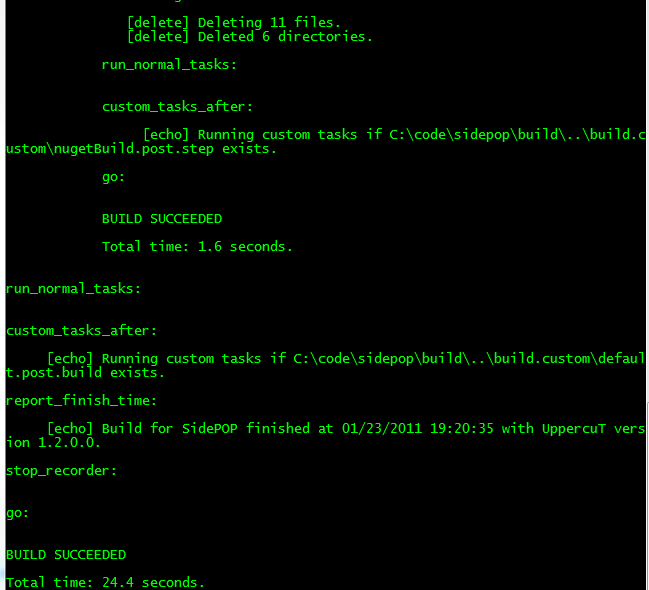 SidePOP has a dependency on log4net version 1.2.10. 5. 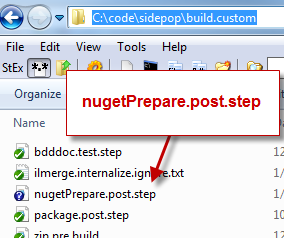 We also have content transformation for the config file, so we’ll include that in the nuget folder. 6. In that we will create our transforms for the web.config and app.config. 7. Now we go back up to our top level folder and run build.bat. 8. 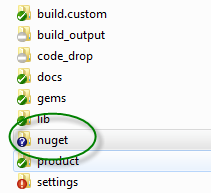 If we head down to our code_drop/nuget folder, you can see we have a nupkg with the right version on it! 9. Now all we have to do is look to be sure we have everything we want and we can upload. In my case I need to exclude the log4net file I have, so I need to delete that one from the directory during the build process. How do I get in? UC Extension Points of course! 11. 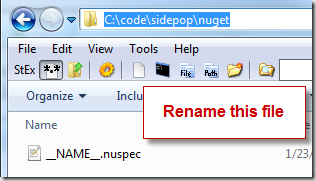 This will create an extension point file for me in build.custom. 13. Now looky here, log4net is no longer in my package. 14. Now I am ready to test my package before I push it out by putting it in a local feed and grabbing it. 15. All good. Now I can upload and put my package on the official feed! NOTE: SidePOP is in Alpha. If you want to use it to check email, it works, but be prepared for possible errors. 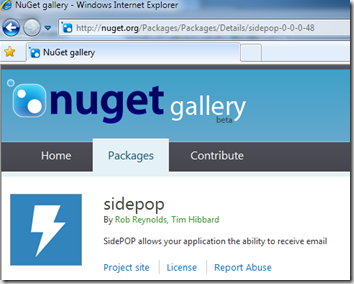 Conclusion – UppercuT and NuGet – A Good Team! 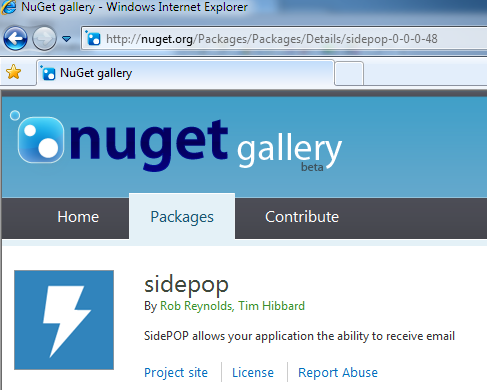 You can see how fast we went from ZERO NuGet to up on the http://nuget.org site! 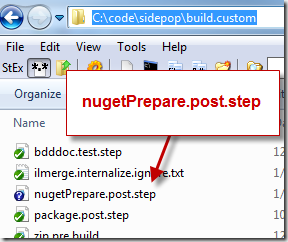 In 4 steps I was already building a NuGet package, and in less than 15 steps it was production ready! What are you waiting for? Go UppercuT your code now! That screenshot in step 14 of the markup; what color theme are you using? Thanks. That theme is a derivative of wekeroad-ink. There are a few things of which I was not a fan, so I adjusted them a bit.